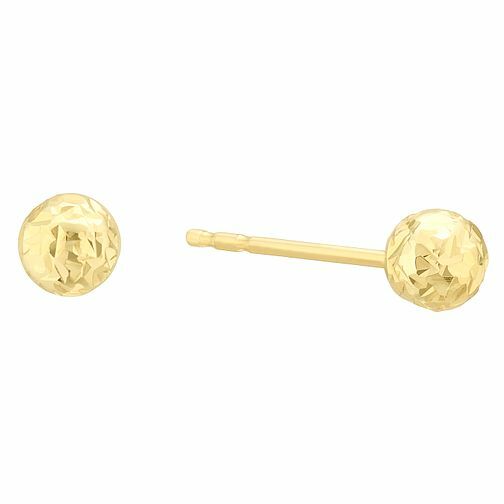 Get a simply gorgeous look with these 9 carat yellow gold stud earrings. Featuring a diamond cut 4mm ball design, these beautiful stud earrings are the perfect accessory to add some subtle sparkle to any outfit. 9ct Yellow Gold Diamond Cut 4mm Ball Stud Earrings is rated 5.0 out of 5 by 1.